Fellow, Royal Academy of Engineering U.K. The success of promotion of electric and hybrid vehicles lies on three goodness factors: 1. Good product: high performance at reasonable; 2. Good infrastructure: efficient and user friendly; and 3. Good business model: innovative business model that can leverage the initial cost of batteries to integrate the interest of stake holders. In this connection, proper technical and commercial roadmaps are essential. This keynote speech will discuss the state of the art and key technologies of electric and hybrid vehicles, hence the technical and commercial roadmaps. The new DNA for electric vehicles to enable become smart electric vehicles will be explored. The evolution of smart grid and the interaction of electric vehicles and smart grids will be reviewed. The recent development of electric vehicles in USA, Japan and China will also be briefly compared. Prof. C. C. CHAN holds BSc, MSc, PhD, HonDSc, HonDTech degrees. He has had over 50 years academic and industrial experience. He is currently the Honorary Professor and the former Head of the Department of Electrical and Electronic Engineering, the University of Hong Kong. He is the Founding President of the International Academy for Advanced Study. He served as Visiting Professor of a number of well-known universities around the world, including MIT, University of California Berkeley, University of Cambridge, etc. He is Co-founder and President of the World Electric Vehicle Association, the President of the Electric Vehicles Association of Asia Pacific, and Past President of the Hong Kong Institution of Engineers. He serves as Senior Consultant to governments and industries worldwide. Prof. Chan is a Fellow of the Royal Academy of Engineering, U.K., the Chinese Academy of Engineering, the Ukraine Academy of Engineering Sciences, IEEE, IET and HKIE. He received the IEE International Lecture Medal in 2000 and delivered lectures on electric vehicles worldwide. 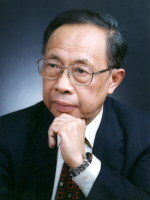 He was selected as one of Asia’s Best Technology Pioneers by Asiaweek; named as “Father of Asian Electric Vehicles” by Magazine Global View; named as “Pitamaha (Grandfather) of Electric Vehicle Technology” in India; received the “Environmental Excellence in Transportation Award” from the Society of Automotive Engineers U.S.A.; Honour of “China Automobile Industry Character”; Gold Medal of Hong Kong Institution of Engineers. He authored and coauthored 11 books, over 300 technical papers and holds 9 patents. His mission is to promote the global collaboration for the advancement of science and technology for global sustainable development.